Our new Laney College Culinary Arts Competition team went to the ACF nationally sanctioned competition this weekend held in conjunction with the Sacramento Farm to Fork festival on Friday, in order to study the student performance and techniques of teams from many other schools from across the state. 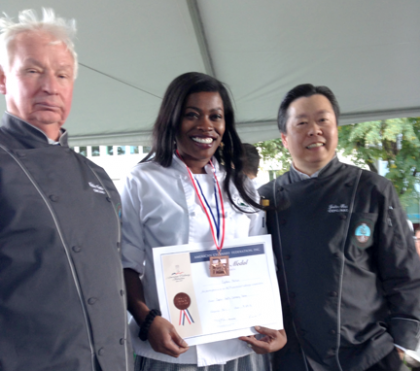 One of our team members Cynthia Phillips was very motivated to compete after some encouragement from the judges, which included 2 of the only 65 Certified Master Chefs in the United States. She practiced all night, and with little if any sleep showed up the next morning and scored enough points to earn a bronze medal, missing out on the Silver by only fractions of a point. It is truly an honor to be selected to be the ACF Competition Coach for Cynthia and her teammates as they place the Laney College Culinary Arts department on a national stage. Congratulations to Laney College Culinary Arts student Shana Waquia, who was recently honored with a scholarship from the Golden Gate Restaurant Association for $5,000 in order to continue her hospitality education and transfer to a 4 year institution. Shana is a member of the American Culinary Federation San Francisco/Chefs Association of the Pacific Coast, and is finishing up her Associate degree at Laney College. Way to go Shana and David Jones, Chef-Professor, Culinary Arts/Restaurant Management at Laney College, one of the Peralta Colleges. Two Laney College Culinary Art Students, Ayana Cutright and Lena Foster talk about what it takes to succeed, staying motivated and their goals. 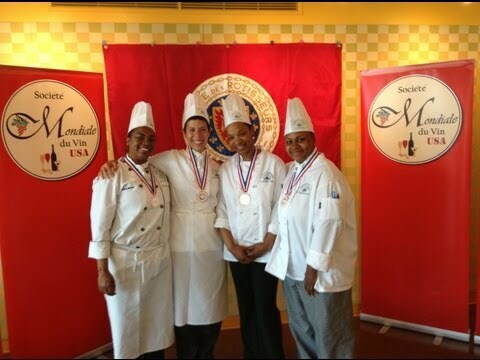 On February 16th, 2013 a select group of Laney College Culinary Art Students competed in the ACF San Francisco Chapter Junior Culinary Competition and won the Gold Medal. They were invited to compete on March 23rd, 2013 in the Chaine des Rotisseurs Jeunes Chefs Competition and won Bronze. Each competitor was given an identical mystery “market basket” containing a few key ingredients to design and prepare a three-course meal to serve four people using those ingredients—all in four hours’ time! The Laney College Bistro recently received Edible East Bay’s Local Hero Award for both Chef/Restaurant and Non Profit Categories. 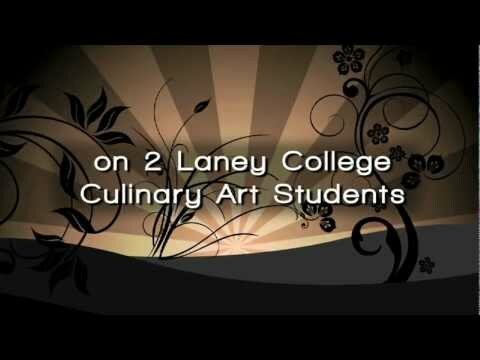 The culinary arts program at Laney College is considered to be unrivaled in the Bay Area. Chef David Jones and Chef Lawrence Jackson take us into the kitchen and behind the scenes.